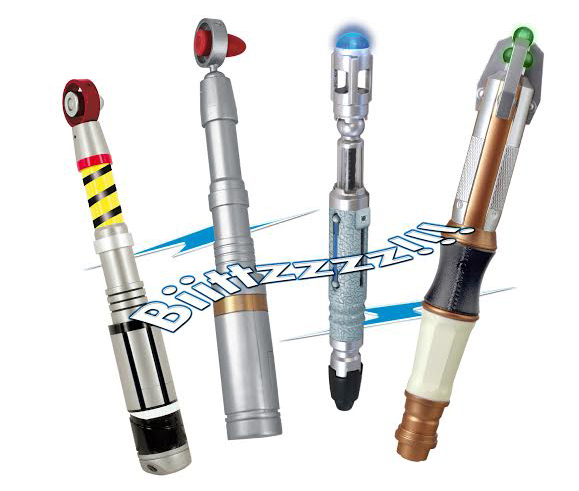 Featuring The Third Doctor's Sonic Screwdriver (Version 2), The Eighth Doctor’s, The Ninth Doctor’s and The Eleventh Doctor’s Sonic Screwdrivers. Release July 2014. The 8th Doctor's Sonic has sound effects only. The 9th and 11th Doctor's Sonics have sound and light effects.